Following the Q1 2017 acquisitions of both WPC Healthcare and MRA by private-equity backed companies, West End Holdings is now actively seeking new businesses to add to our portfolio. Please contact Lyle Beasley at 615-294-9940 or lbeasley@westendholdings.com to discuss potential opportunities. Founded in 2005, American Hometown Publishing (AHP) is a community media company with newspapers, magazines and websites serving readers and advertisers in Florida, Oklahoma, Tennessee, Virginia, and North Carolina. In 2016, AHP launched Hometown Digital Solutions, a digital marketing services company that offers a complete suite of products to help our advertisers thrive online. Our mission is to tell the truth, enlighten, entertain and inform our communities with 1st-class content, advertising and service. 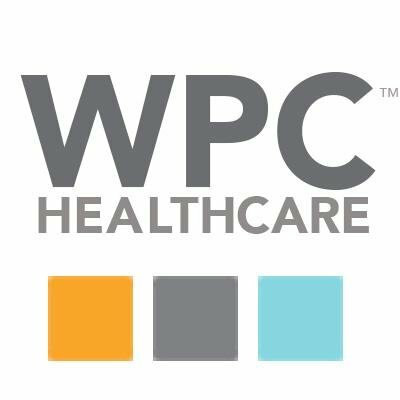 Based in Nashville, Tennessee, WPC Healthcare is a data analytics company that uses machine learning to make predictions about health care conditions providing early notification to providers and, ultimately, saving lives while decreasing costs. West End Holdings, LLC provided the equity capital to acquire the business from its parent company (Washington Publishing) in September 2015. The business was subsequently acquired by Intermedix, a portfolio company of Thomas H. Lee Partners, in March 2017. Medical Reimbursements of America (MRA) provides specialty reimbursement solutions that identify and recover additional revenue for hospitals and health systems nationwide. MRA's AcciClaim™ solution delivers improved revenue, increased patient satisfaction, and enhanced billing compliance from complex claims related to motor vehicle accidents and workers' compensation injuries. MRA's Payment Integrity solution provides underpayment identification and recovery services from both Medicare and Managed Care claims. West End Holdings, LLC recapitalized MRA in September 2012. The business was acquired by Bottom Line Systems, a portfolio company of Riverside Partners, in February 2017. MyOfficeProducts rapidly grew into the second largest independent B2B office supply dealer in the US, generating annual revenues in excess of $125 million. The company's 100+ sales associates, serving 45 markets across 17 states was sold to HiTouch Business Services, a full service productivity company in a sale transaction consumated in November 2010. IXT rapidly grew into one of the leading providers of electronic patient payment solutions in healthcare. Proprietary technology delivered an integrated physical and electronic billing platform that enables hospitals, physicians, and revenue cycle managers to collect more revenue from patients, empowering patients with more convenient payment options with 24 hour access to web, phone, and physical payment infrastructure. IXT was sold to Emdeon (NYSE: EM) in December 2007. ProClaim is a pioneer in developing and providing reimbursement solutions that address the cash flow issues faced by long term healthcare providers. Nursing homes, hospitals and other healthcare organizations rely on ProClaim to significantly improve cash flow by streamlining their operations. ProClaim focused on providing Medicare Part B billing solutions and was sold to Gulf South Medical Supplies (NASDAQ: GSMS, now PSSI) in November 2003. Medifax EDI, the primary holding of The Potomac Group, was healthcare's leading electronic eligibility services provider, prior to its purchase by WebMD Business Services (parent of Emdeon, now Change Healthcare). Medifax EDI products remain an integral component of Change Healthcare's industry leading suite of revenue cycle management solutions. The Potomac Group, including Medifax EDI was sold in June 2000 to an entity that eventually became WebMD Business Services, and now is Change Healthcare.